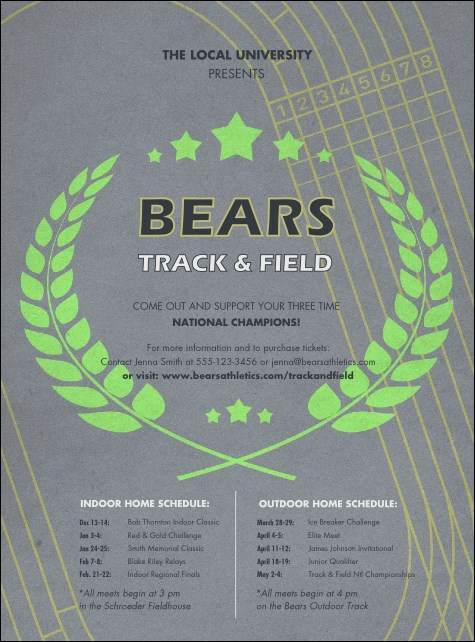 Event success is a hop, step, and a jump away with this Track and Field Flyer. With a classic bright green laurel wreath over a grey background and the yellow lines of a track making its way around, this flyer has plenty of room for all your event information. Need more materials for your track meet? Make it a decathlon with a Matching Event Kit from CanadaTicketPrinting.ca.